Below you will find our many affiliates who are green, sustainable, organic and/or cause based. There is change in the air and we are here to make it easier to navigate the terrain and SOW the seeds for a healthier future. What’s more fulfilling than knowing the products you purchase on a daily, monthly or yearly basis are eco friendly, non-toxic and sustainable for our planet! Not only that, most of the companies we support on this site are partnered with those who give back to the community. Soothi: A desk is more than a work surface. It’s a landscape. A self-portrait. A stage. It’s a launch pad. A treasure chest. H0me-base and H.Q. It’s where it all started. Where the magic happens. Where dreams becomes reality. It’s the one dedicated place, throughout history, across the globe, where we all go to think, learn, write, sketch, plan, invent, improve and re-imagine. Chelsea Green Publishing – the leading publisher of sustainable living books since 1985. Founded in 1984, Chelsea Green Publishing is recognized as a leading publisher of books on the politics and practice of sustainable living, publishing authors who bring in-depth, practical knowledge to life, and give readers hands-on information related to organic farming and gardening, permaculture, ecology, the environment, simple living, food, sustainable business and economics, green building, and more. AudiobooksNow is the premier service for downloading and streaming audiobooks. Users can stream or download audiobook purchases from our website, or download them to our free Android, Nook or Apple iOS apps. With our innovative Club Pricing Plan, users can save 50% off their first audiobook purchase and 35-40% off each additional purchase each month at our everyday low prices (no plan required). 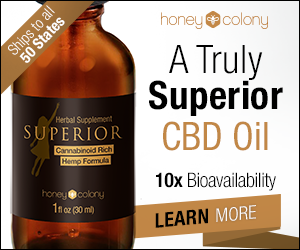 Honey Colony: Guiding you to a healthier life. High quality products with high quality standards that value the planet, humanity, honesty, & fair trade practices. Solay Wellness DBA SO WELL ®was born June 2004 in chicago , IL. 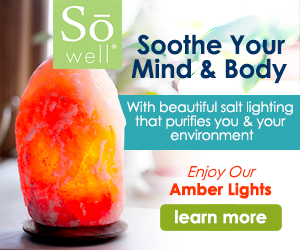 I had been working in the organic yoga and wellness industry for several years by that time, always ahead and on the” look out”for new, unique and beautifully made “healing” lifestyle products, and it was that summer of 2004-I discovered my first Salt lamp and I fell in love. NaturOli SOAP NUTS (aka SOAPBERRIES): The dried fruits of the sapindus mukorossi tree containing saponin, Mother Nature’s alternative to toxic chemical detergents & cleaners. Saponin is a safe, all-natural, hypoallergenic, biodegradable & fragrance-free surfactant (soap). Soap nuts are far more than a natural laundry detergent. Saponin is today’s eco-friendly solution for a myriad of chemical laden household cleaners & personal care products, too! Welcome to a new age in healthy, non-toxic, effective cleaning & personal care products! Those with sensitive skin & noses can rejoice! 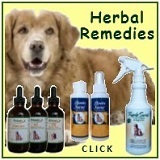 Ideal for allergy sufferers! 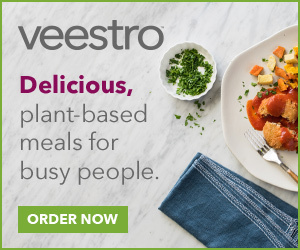 Veestro: When Mark was in banking, he daily found himself in the modern life dilemma: time-starved and hungry. The fast meals weren’t healthy. The healthy meals weren’t fast. To Mark, it was a business need. He left the corporate world and put his skills into a business people were hungry for. He raised funds, negotiated contracts, built a facility and together with his sister, Monica, they created Veestro. CAUSEBOX is a seasonal delivery of 6-8 hand-curated products for women. Every product has a story and makes the world better. 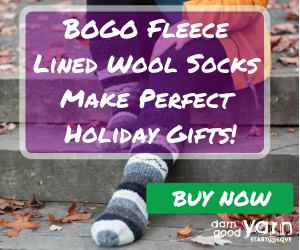 Darn Good Yarn: Our online yarn store is dedicated to supporting women’s economic empowerment, fair trade practices, and principles of environmental sustainability. Our yarn store offers dozens of other fibers, cloths and wholesale yarn through our online yarn store, allowing knitters access to these rare and special items. In doing so, we hope to encourage the joy of knitting, beautiful garments, and ethical consumerism. 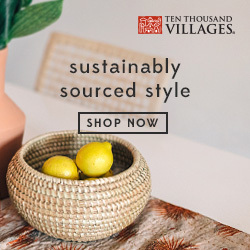 Ten Thousand Villages is more than a store. 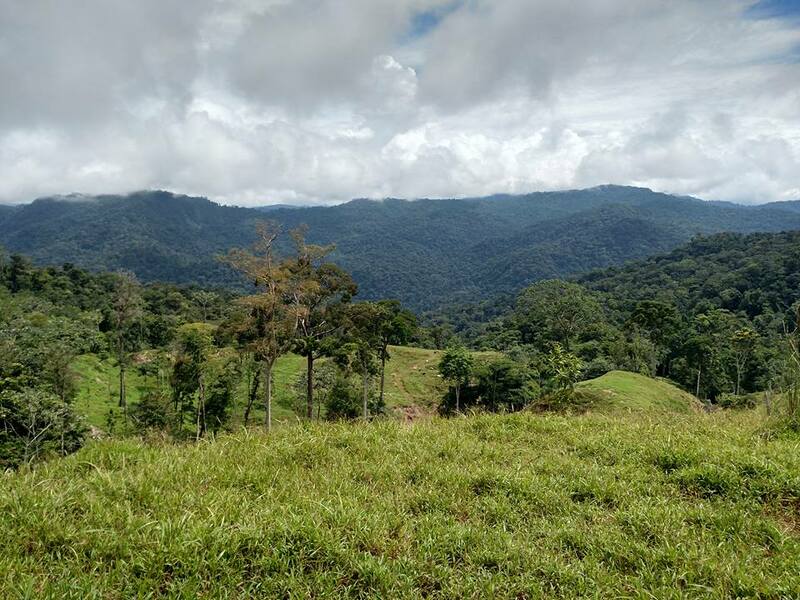 It’s a place where you can explore and connect with your global village. From communities throughout the developing world, every inspired design is crafted with love using local materials (usually natural or recycled) and time-honored skills by makers we have known and worked with for years. Every purchase improves the lives of makers by supporting their craft and providing a fair, stable income. 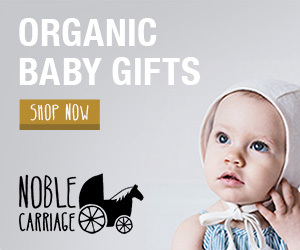 Noble Carriage: We believe in people and brands who make products for a healthy planet. Unfortunately, even if labeled “all-natural” or “organic,” baby clothing can still be filled with harmful chemicals. We know as a parent you are busy and you can’t research every brand you buy, so we have done all of the research for you. When you shop Noble Carriage you can be sure our clothing is truly organic and meets at least 3 of the 5 sustainability standards on our site. Irish Eyes Garden Seeds is a small, family-owned business, established in 1989. We are located in Ellensburg, Washington which sits just east of the Cascade Mountains in the heart of the Kittitas Valley. We take pride in growing, harvesting, and distributing quality seeds and products to our customers. 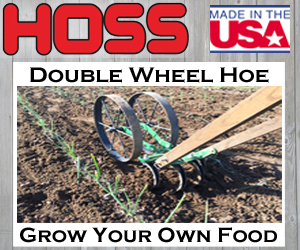 Hoss Tools: We want to help you grow your own food! Whether you’re a market farmer or hobby gardener, Hoss Tools specializes in high-quality garden tools that will last a lifetime. We provide exceptional customer service with a live person answering our phones, expert product support and same-day shipping during the week. Real Goods: Founded in 1978, Real Goods is the original purveyor of off-the-grid living supplies. Originally envisioned as a one-stop-shop where people could find everything they needed for their remote homesteads, the store began with the sale of the first retail solar panel in the United States and the humble goal of changing the world. EVERYTHING is connected! New understandings in science reveal a bigger picture of interconnection than we could have ever imagined. Discover amazing ideas that will not only help change THE WORLD… but will also help change YOUR WORLD. BE A PART OF OUR TEAM!! We are so happy you stopped by!! It’s time to come together and BE THE CHANGE we want to see in 2017.